Australia's Best Factory Warranty. Our Promise To You. Every Kia is built according to the highest automotive manufacturing standards. From the world-class designers who pore over every detail, to the assembly line team who build the cars, to the product engineers who fine-tune our cars for Australia, every new Kia vehicle is designed using the latest engineering technology and in the most advanced facilities. This outstanding production quality is what gives us the confidence to offer you the longest and best car warranty in Australia. It's our promise to maintain a high degree of quality and reliability. It’s our promise to you that your new Kia will be there for you today, tomorrow and long into the future. Because we want you to experience everything that makes owning and driving a Kia the best experience possible. 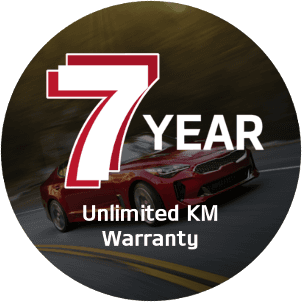 Your brand-new Kia comes with the assurance of Australia’s First 7 Year Unlimited Kilometre Warranty*, unlike offerings from other car brands which cease to operate after you hit a certain mileage. We knew we had to go the extra mile, because a longer warranty is a better warranty. It’s easy for us to back up our vehicles with the best warranty in the industry. After all, they are built not only to perform but to last. For full terms and conditions, view the Policy Statement. At Kia we're always looking for ways to give you even more assurance. 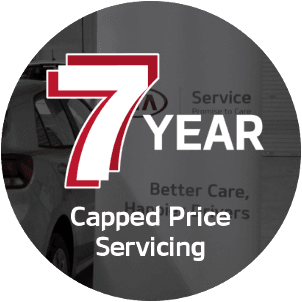 So not only do you know the maximum cost of your vehicle's next scheduled service upfront, but we’ve also extended our capped-price offering to 7 years. It means no unexpected surprises once the work has been done on your Kia. It also means you can take your car to any Authorised Kia Dealer in Australia and get the same deal. 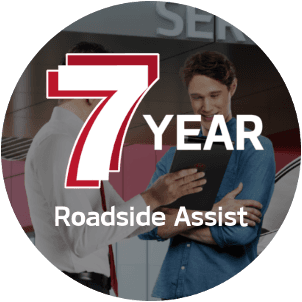 Every new Kia already comes supported by 12 months of complimentary Roadside Assistance so if the unexpected happens, we are a phone call away. And because each vehicle we build is designed to keep going and going, it’s easy to extend your vehicle’s Roadside Assistance coverage for up to 7 years. Simply, return your vehicle to an Authorised Kia Dealer for each of its scheduled services, and you’ll enjoy peace of mind for the long term. Feel like upgrading before the 7 years is up? The good news is that the balance of all the above remains with the vehicle for the benefit of the vehicle’s new owner. So you can sell the car with the added value it brings. A vast amount of design, engineering and expertise ensure the highest possible standards of reliability and durability for years to come. 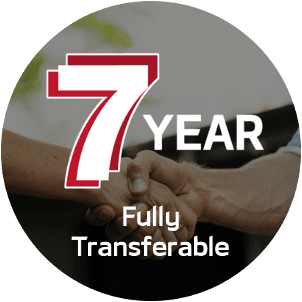 So our 7 year Unlimited Kilometre Factory warranty is how we prove it to you.